wing the recent conclusion of the PATA 60th Anniversary and Conference and the China Outbound Travel & Tourism Market (COTTM) in Beijing as well as the release of the "Annual Report of China Outbound Tourism Development for 2011," China's outbound tourism market has once again become the focus of the world’s tourism industry. Following the recent conclusion of the PATA 60th Anniversary and Conference and the China Outbound Travel & Tourism Market (COTTM) in Beijing as well as the release of the "Annual Report of China Outbound Tourism Development for 2011," China's outbound tourism market has once again become the focus of the world’s tourism industry. 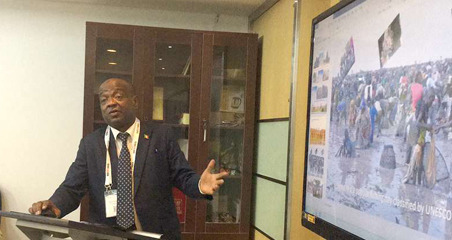 The Seventh COTTM was held in Beijing between April 13 and 15 and attracted more than 230 exhibitors from 55 countries and regions, such as Cambodia, Canada, Kenya, Kazakhstan, Morocco, Egypt, Tunisia, India, Mexico, South Africa, Turkey and Zambia. 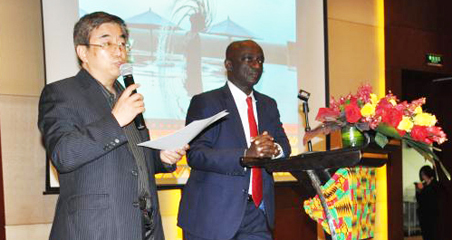 The exhibitors were from institutions and companies, such as the tourism authorities of each country, inbound travel agencies, hotels, cruise operators, tourist destination management firms, airlines, car rental firms and adventure travel service providers. The Kingdom of Cambodia's booth was designed to imitate its ancient building of the Angkor Wat and was surrounded by industry customers and common travelers. An official from Cambodia's tourism bureau said, "China is one of Cambodia's major source countries of foreign tourist arrivals. Particularly, the number of Chinese tourists to Cambodia has been on the fast rise since the establishment of the ASEAN-China Free Trade Area. Currently, there are non-stop flights linking Phnom Penh with Beijing, Guangzhou, Hong Kong and Taipei as well as non-stop flights linking Siem Reap and Kunming. Cambodia will focus on promoting its cross-cultural adventure travels in China in 2011." The number of the tourist destinations for Chinese citizens has already reached 140, including 110 tourist destinations officially available to Chinese tourists. With the growth of China's economy and the personal incomes of Chinese people, outbound travel has become a common part in the lives of the common Chinese people. Matt Thompson, project director of COTTM, said that thanks to these positive factors, China is attracting the attention of more and more tourist designations around the world. He said that topics discussed by the participants mainly focused on the latest changes in the outbound travel demand of Chinese tourists, how to promote theme and luxurious travel and how to meet the demand from various levels of Chinese tourists. 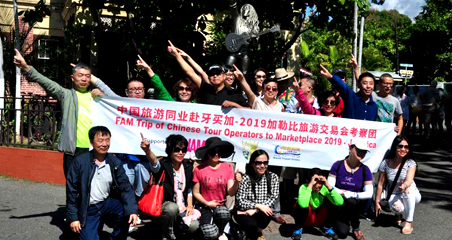 According to the annual outbound tourism report released by the China National Tourism Administration (CNTA) and China Tourism Academy (CTA) on April 12, Chinese citizen's demand for outbound tourism is increasing rapidly thanks to China's rising economic power, sustained implementation of the "opening-up" policy, and the central government's persistent efforts to improve people's living standards. The number of outbound Chinese travelers hit 57.4 million in 2010, up over 20 percent from the previous year. The number is expected to reach 65 million this year, up 13 percent from 2010. There are some encouraging changes along with the rapid growth in the number of outbound travelers. The structure of outbound tourism has been further optimized, with more and more people traveling abroad for leisure and not for business purposes. Furthermore, many countries and regions have loosened their visa restrictions on Chinese visitors. For example, Europe's 25-nation, border-free Schengen area has adopted a unified visa system, which has simplified visa procedures for Chinese tourists and reduced the visa fees. The German embassy in Beijing has launched an online visa appointment reservation system, and South Korea's Ministry of Justice has released the “Standard Plan of Relaxing Visa Restrictions on Chinese Visitors.” Japan also loosened visa rules for individual Chinese tourists in July 2010. China became the fourth largest international tourism spender in 2010. According to statistics from the CNTA, Chinese tourists doled out a record 48 billion U.S. dollars on their trips abroad last year, up 14 percent from 2009. Their spending is expected to hit a new high of 55 billion U.S. dollars in 2011. Ma Yiliang, a researcher at the CTA, said that shopping has become an important driving force behind the growth in tourism consumption. Statistics showed that 76 percent of the money Chinese mainland tourists spent in Hong Kong in 2010 went to shopping, and the percentages for those who visited Macao and Taiwan reached 63 percent and 50 percent, respectively. China UnionPay has expanded its business to 98 countries and regions, forming a relatively sound overseas service network featuring Chinese instructions on ATMs, a large number of businesses that accept UnionPay cards, emergency assistance services and hotline services.